Hello hello and happy Monday! 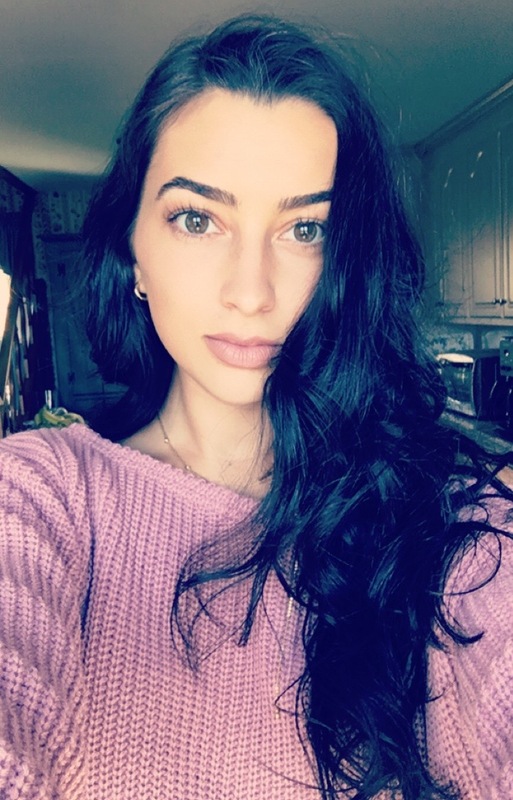 Things are finally starting to warm up around here (in Boston) so I have changed up my skincare routine a bit, and wanted to share with you guys what I do for fresh, spring skin. 1. Rinse- don’t wash- your face in the morning! A lot of people tend to over-wash their faces, and though they may think they are keeping things extra clean, this can actually lead to more breakouts, excessive dryness and irritations. All I do in the morning is splash on some warm water and pat-dry my face. If my skin is particularly broken out, I might run over it with witch hazel (a natural astringent available in supermarkets and a number of stores) and a cotton ball. I literally cannot say enough good things about this truly ~magical~ stuff. It is made up of a total of six ingredients: honey, beeswax, olive oil, royal jelly, bee pollen and bee propolis. As I’ve mentioned before, bees and the products they produce are just amazing and so beautiful for your body- inside and out. With no preservatives, fragrances, or chemicals- I just love knowing I’m healing my face everyday with all good things from nature 🙂 And.. it works!! This cream can go on as light or as heavy as you’d like (I like to put a little more on at night) and it provides an awesome base for makeup. I find that it gives me a perfect even coverage when I apply my foundation over it, and a bit of a natural dewy look. 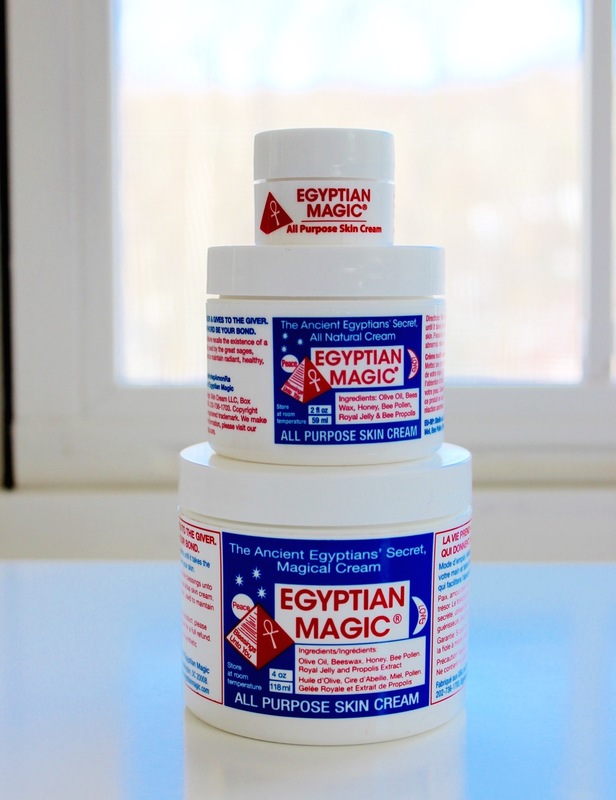 Egyptian Magic has also helped me tremendously in managing my breakouts. It truly has no limits to its benefits, and it’s cheap to boot! Do your face a favor and pick it up! 3. Let your skin breathe!! especially important when it’s warmer out and we might be sweating. The makeup and the sweat can just wreak all sorts of havoc on your face, so it’s a good idea to go a little lighter on the foundation or not wear any at all! Often times after I get even a tiny bit of sun on my face, I just use my Mac concealer to dot over any blemishes and I’m good to go. A little color does wonders 🙂 On more “special” occasions in the summer, I will use a tinted moisturizer, but I really rarely do a full face of foundation in the spring and summer. I also am sure to take off any makeup as soon as I get home and don’t need it anymore. I use- and am obsessed with- my clarisonic facial cleansing brush. I don’t think anything removes makeup that fully, while also being gentle on the skin. You can also read more about my thoughts on my clarisonic in this post I wrote several months ago. Aim to give your face a real break this season. Treating it well will pay off! With all the stuff our skin goes through in the summer with sweat and sun, it’s not a bad idea to give it an extra kick of healing throughout the night. Our skin does an incredible amount of healing throughout the night, so it’s really important to get that makeup off, and good stuff on. 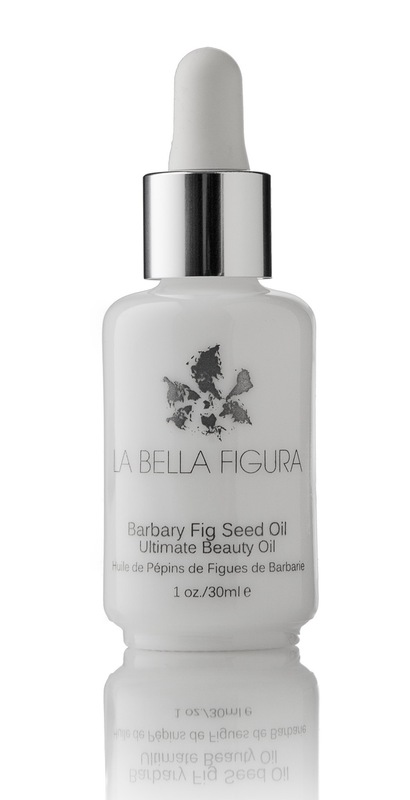 In addition to my nightly Egyptian Magic, I found the most beauuuutiful serum by the brand La Bella Figura.- naturally, I found a brand founded by an Italian to answer my skincare prayers 😀 It is the Organic Barbary Fig Seed Oil/ Prickly Pear Seed Oil. It feels simply luxurious on and also helps me a great deal to minimize breakouts. For those of you looking for an anti-aging serum, know that most serums are anti-aging by nature, including this one. I wasn’t specifically looking for that, but rather a super moisturizing and repairing serum to put over my Egyptian Magic at night. This fits the bill, let me tell you. A little bit goes a long way, as it is a rich oil. I just put a couple drops on over my cream and it feels like a mini spa treatment every night. It’s not the cheapest serum out there ( coming in at $90) but I have to say it’s really worth it. I’ve seen a lot of b.s. “natural” serums around filled with fragrances and harsh chemicals masquerading in natural-looking packaging. So finding a beautiful company like La Bella Figura eases my skincare worries of unknowingly layering on chemicals. So there you have it! My tips for maintaining a healthy, fresh face this season. Please ask me any questions you have, I love to help. And let me know your thoughts below! Previous Post When Does Your Makeup Really Expire?? These are some great tips – which I also follow (great minds think a like), you should follow up with autumn and winter too! You know like a 4tips for 4seasons kinda thing. Love reading your blog and it’s nice to know I’m not the only one with a seasonal skincare routine!